Comodo EV SSL is our least expensive Extended Validation (EV) SSL Certificate, which will not only protect your website from phishing attacks, but will make the web browser’s address bar to become colored in green, and will display your company name directly in the browser’s address bar. These features will bring the highest level of trust to your visitors and will ensure them that your website is not a fraudulent one, and that they can confidently enter their user access credentials, personal information, and credit card information on your website. Having an SSL Certificate that comes with a Green Address Bar requires an extensive verification of your company and its owner, in order to confirm that your business is trustworthy. During this process you will need to submit signed company documents and agreements to the Certificate Authority (CA). Also, your ownership of your domain name will also be verified as a part of this process. It is important for you to make sure that the company’s contact information you enter when creating the CSR match the ones in public companies listings, such as Yellow Pages or Yellowbook. 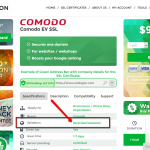 The issuance time of the Comodo EV SSL certificate will be of about 2 to 7 business days. It’s worth waiting this much time, so as you will end up having a highly secured and trusted website, and it is totally worth the effort. This SSL certificate is compatible with 99.3% of all desktop and mobile browsers, comes with unlimited server licensing and unlimited reissues. Along with all these benefits, you will also get a dynamic Comodo (now Sectigo) site seal, which can be put in a preeminent place on your website, and which will ensure you visitors once again that their sensitive information is protected by a highly recognized Certificate Authority. 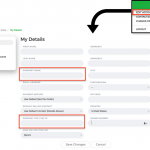 Users will also be able to roll over or click on the SSL seal and see the live date stamp, as well as the the name of your company. 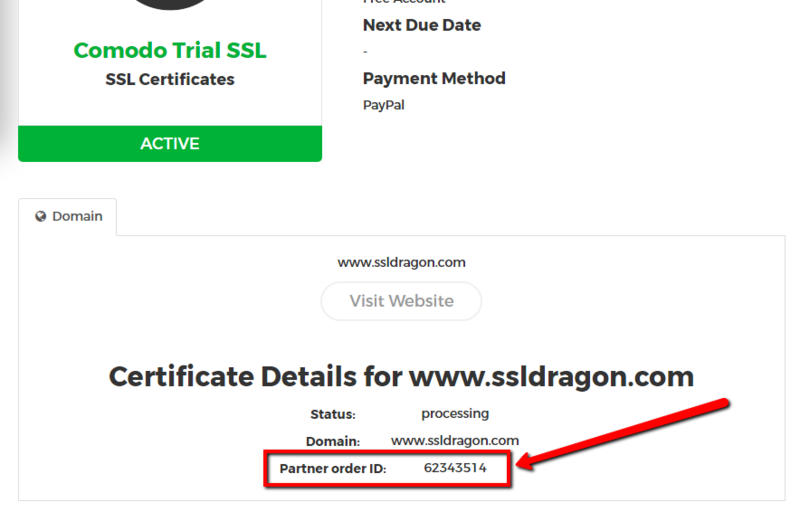 We offer a 10% discount when you decide to buy this certificate for 2 years, and a 25 days money back guarantee, in case you decide you want to go with a different SSL Certificate. Comodo EV SSL is ideal for an online shop, and for any other website which needs to be well secured and trusted by its visitors. I really wanted to have the green bar for my small business website, so made sure that all my paperwork is up to date. I was a bit anxious, but the validation was successful and took less than two days. 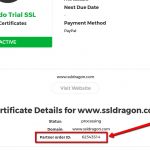 great ev ssl from comodo – it took me a while to figure out the ev process, but was very simple to get the ssl issued. 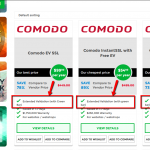 Good price for a Comodo 2-year EV SSL.